As promised here’s another project made using the Share What You Love Suite and the A Big Thank You Bundle. Today I’ve just used the Thank You Thinlit to make a card with no stamping, so if you need a thank you card quickly, this is the card for you. I would never have thought to put Rich Razzleberry with Grapefruit Grove but seeing them together in the Share What You Love Specaility DSP they really work. Thats why I love Stampin’ Up’s DSP whenever you’re stuck for a colour combination to work with just go and pull out some paper and you’ll soon find a great combination. The flower on this card comes from another sheet of paper in this pack and was just fussy cut out and added with a Stampin’ Dimensional, I think it’s the perfect embellishment to finish this quick card. 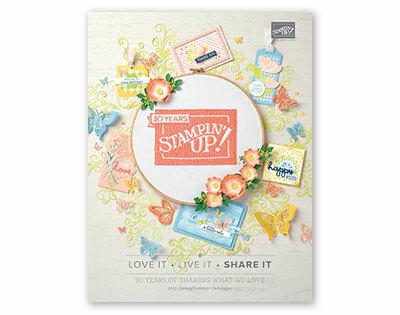 I’m re-visting my favourite suite in the catalogue today the Share What You Love Suite and I do love it all. 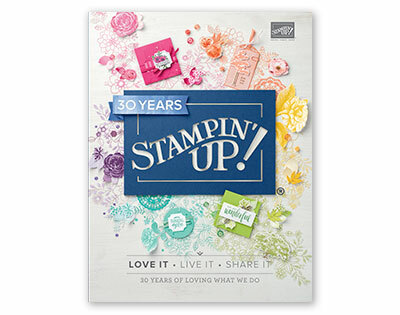 I’m pairing it with the A Big Thank You stamp set which has some lovely greetings which I think work really well with the gorgeous paper and embellishments in the Share What You Love Suite. Along with this gorgeous floral paper I added some of the Rich Razzleberry Velvet Ribbon, some of the Artisan Pearls and the frame on which I stamped the greeting comes from the Share What You Embellishment kit which features die-cut frames, twine, mini paper-clips and some gorgeous silver flower embellishments which you’ll see on the last card. For this second card I fussy card some of the large flowers from one of the other sheets of paper. It doesn’t show too well on the photograph but these flowers are pearlescent so look stunning in real life and I also added a few loops of the Tranquil tide bakers twne from the embellishment kit because….well why not! The third card uses another of the die-cut frames and those gorgeous silver roses to add a finishing touch. All these cards were very quick and easy to make and I think they all look stunning.